ABSOLUTE CARNAGE by Donny Cates and Ryan Stegman! New York, NY—March 22, 2019—In a video during today’s retailer panel at C2E2 in Chicago, acclaimed writer Donny Cates (Thanos, Guardians of the Galaxy, Doctor Strange) announced ABSOLUTE CARNAGE – Marvel’s epic summer event! Beginning in Free Comic Book Day Spider-Man/Venom #1 (out May 5), the blockbuster event starts in August (although fans will see the threads reaching as far back as Amazing Spider-Man 252 with connections to almost every Venom and Carnage story since) and re-teams Cates with Venom’s Ryan Stegman and colorist Frank Martin for the deadliest story in the Marvel Universe! 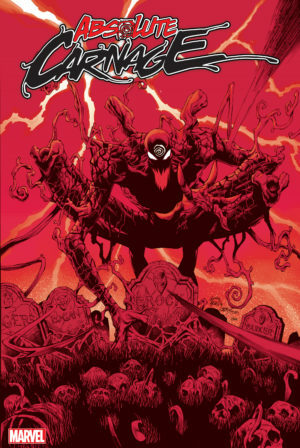 Stay tuned to Marvel.com for more about ABSOLUTE CARNAGE, including news from this year’s Marvel Comic panels at C2E2. BEFORE ABSOLUTE CARNAGE, MARVEL GETS CARNAGE-IZED!